AC Productions makes documentaries for television, film festivals and galleries. It’s run by producer, director and journalist Anna Cottrell. She enjoys historical documentaries and has an eye for people with a good story who tackle life’s challenges with guts, determination and humour. 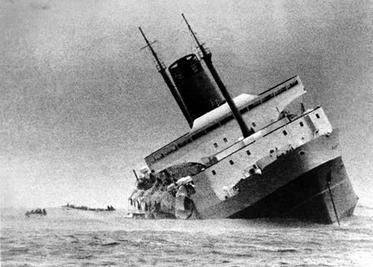 Passengers, crew, and rescuers caught up in New Zealand’s worst modern maritime disaster tell their stories 50 years later. Survival Stories screens on Choice TV Monday 29 October at 8.30pm. One of the stories features Iwi leaders, Te Puea Herangi, a relative of the Māori King, and Maui Pomare, MP for Western Maori, who had very different views on Māori involvement in the war. AC Productions’ compilation of six Māori & Pacific Great War Stories screening on Māori Television 11 November @ 7pm. The Kiwi in the title is Anna Williams, Oriental rug repairer. The Knight is Sir David Attenborough and the Qashqai are a tribe of nomads in Iran. AC Productions documentary to screen on Choice TV 26 November 2018 @ 8.30pm.